Precision plaster casting through the processes of material production, heat treatment, machining, and surface treatment, and provision of products inspected with 3D measuring equipment on short delivery times. 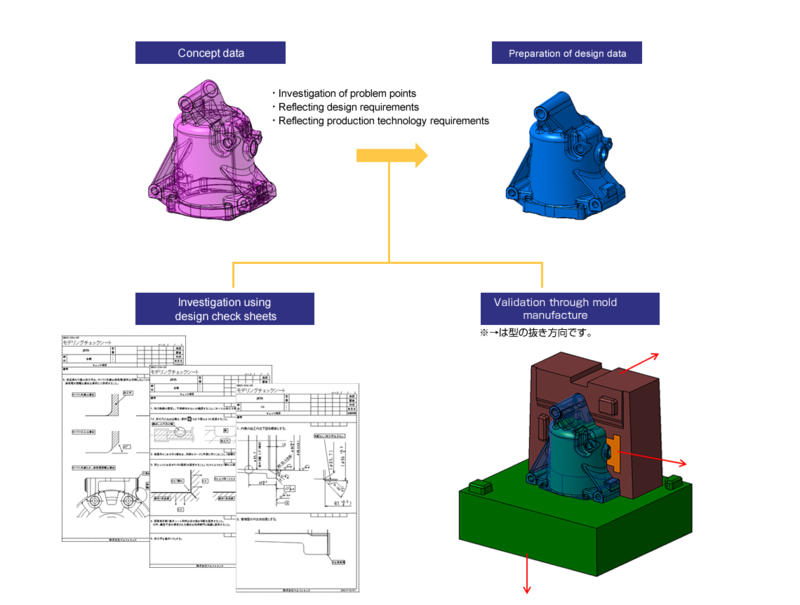 The use of CATIA V5 for modeling permits the rapid incorporation of 2D drawings. Furthermore, parametric editing allows for flexible changes in mass production data. The use of 3D data facilitates high levels of accuracy in wooden molds and casting molds, and the manufacture of precision cast products. 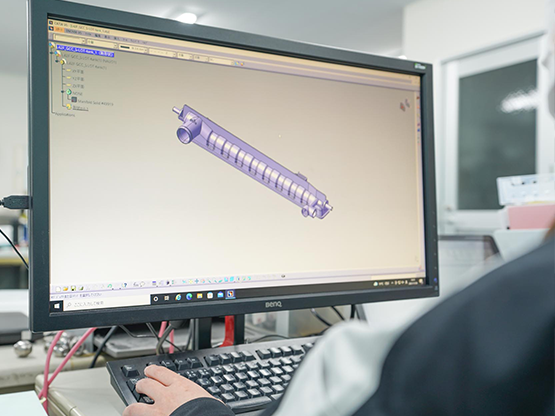 We also support product design from the concept design stage, and we actively provide shape proposals when production problems are anticipated.